The Belgian new car market recedes by just 0.3% in June to 55.119 registrations, but the year-to-date tally is up 4.1% halfway through the year to 322.302 units. Renault is the best-selling manufacturer in the country with a strong 11.1% market share vs. 9.2% year-to-date, and this despite a 16% year-on-year drop. Volkswagen falls faster at -17% but ranks 1st year-to-date for just 56 units thanks to deliveries up 14%. Below, Opel (+10%), Mercedes (+25%) and Peugeot (+11%) all outpace the market and outsell BMW (-7%) which remains #3 year-to-date. Further down the ranking, Ford (+28%), Nissan (+35%), Seat (+39%) and Porsche (+21%) shine whereas Mini (-22%), Volvo (-23%) and Suzuki (-40%) struggle. Among smaller carmakers, Jeep (+81%), Alfa Romeo (+76%) and Ferrari (+70%) impress. Models info is available for the period January-May when the Renault Clio (+1%) keeps the Opel Corsa (+21%) at bay while the VW Golf is up 42% to #3 and the Hyundai Tucson up 2% to #4. 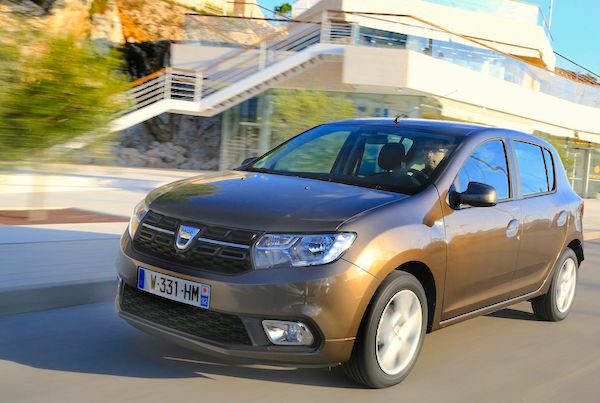 In fact, only the Top 4 best-sellers featured in the 2016 Top 10, the rest of the January-May Top 10 is entirely new, with the BMW X1 up 121%, the Peugeot 3008 up 235%, the VW Polo up 29% and the Dacia Sandero up 26%. First Half 2017 models show the Renault Clio holding onto the YTD pole position for a mere 123 units just as the VW Golf takes the lead in June, knocking the Opel Corsa to now rank #3 YTD. The Hyundai Tucson and BMW X1 remains at a very impressive 4th and 5th spots respectively, the Citroen C3 leaps into the Top 10 at #7 as does the Opel Astra to #9. 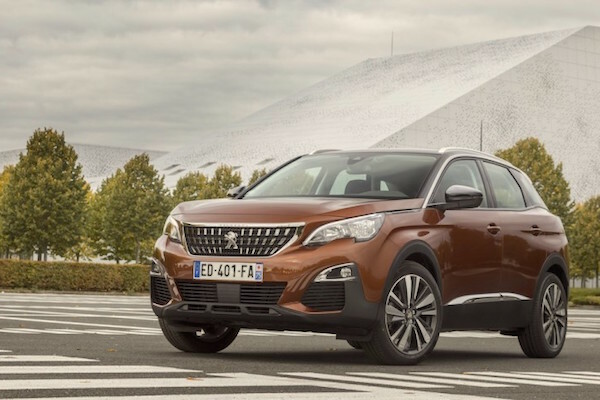 Peugeot places both the 2008 and 3008 inside the H1 Top 10. Full January-May and H1 2017 Top 10 models and June 2017 Top 55 All-brands below.